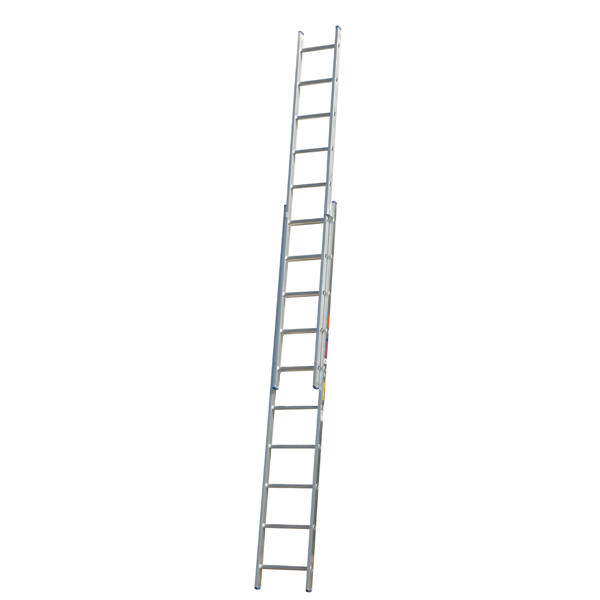 “Straight” or extension ladders do just what their name promises: they extend to help you reach the highest points in and around your home. Composed of two parts with straight sides, in the stores, extension ladders appear only about half as tall as they are when fully extended. One of the two parts remains stationary while the other one slides out to the ladder’s “official” size. The stationery part is called the “base,” and its ends, naturally, will touch the ground. The moveable part is called the “fly” section. • Universally Used For Industrial And Fire Fighting Jobs.